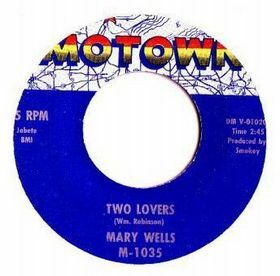 Mary Wells’ follow up to “You Beat Me to the Punch” found her back with Smokey Robinson with the same results: a No. 1 R&B hit. By this point Wells had really stepped into her own as a singer. Her double-tracked vocals are both confident and confiding, as if she’s sharing a seductive secret. Wells sounds like a woman who could not pull off having two men at once, but enjoy it. And yet, there’s some hesitation and vulnerability present as well. Wells isn’t just boasting about her love, she’s working it out in her head at the same time.